When you enter my home I have stairs leading up and down. 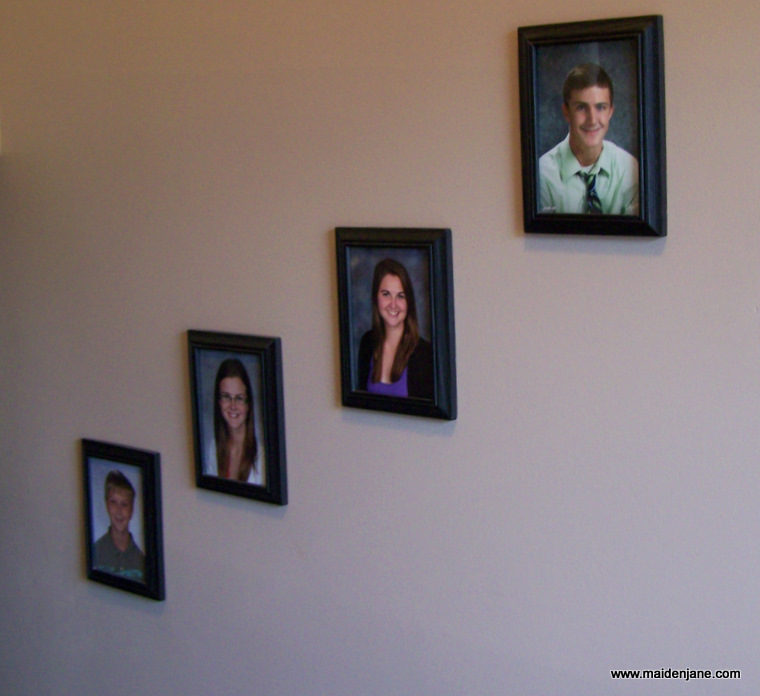 On the wall leading down I put the kids’ school photos. Being a bit frugal and being that I get bombarded with sports photos and band photos, I only buy the 5′ x 7′ photos. (OK, I’m cheap!) I could probably have 8 x 10s there, and will replace some day. These are modeled after my mom’s arrangement which we’ve had for years and moved from our old home to her new home. That’s my mom and my siblings (yes, we’ve grown in more ways than one!) We are sitting below our photos. Mom always had our baby photos arranged above the couch. Then she added our high school graduation photos. I think she would have added wedding photos also but I have one brother who is not married. Looking upward you will see a group of photos that I took. We have an open floor plan which can make defining rooms difficult. 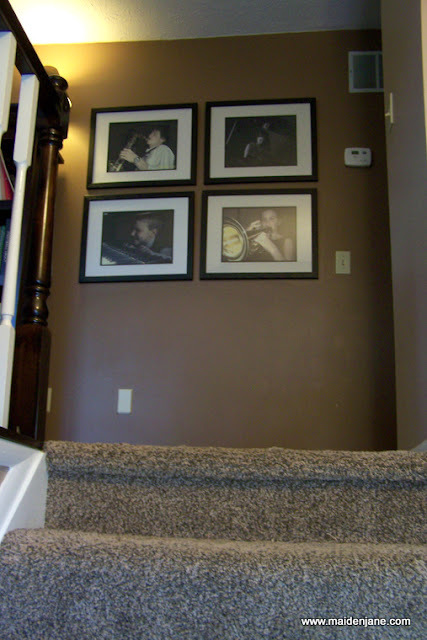 That wall is actually a hallway, but I don’t have a lot of wall space, in general, and I wanted a big impact statement when people came into the house. 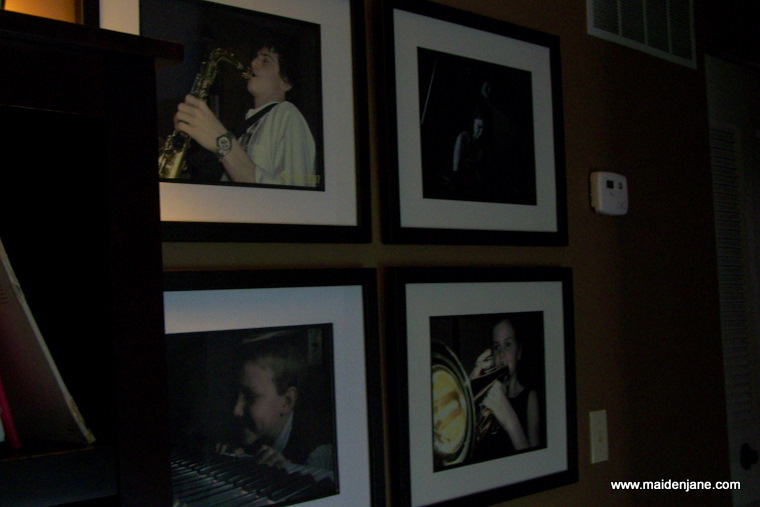 Being that it is the “music room”, I took photos of each child playing an instrument. I changed them all to sepia to give them a classic look, printed out a poster size, but one that was still fairly small and not too expensive. I added stock frames from Michaels and had a grouping! I am an amateur, at best, photographer – it’s a skill I’m working on . These were some of the first photos I was happy with. I am too lazy to find the original JPEGs of these photos to share, but I love my youngest – it’s actually a reflection of him looking at the piano. Now that I have had professional portraits of the oldest two taken at the piano, I have will be replacing them. 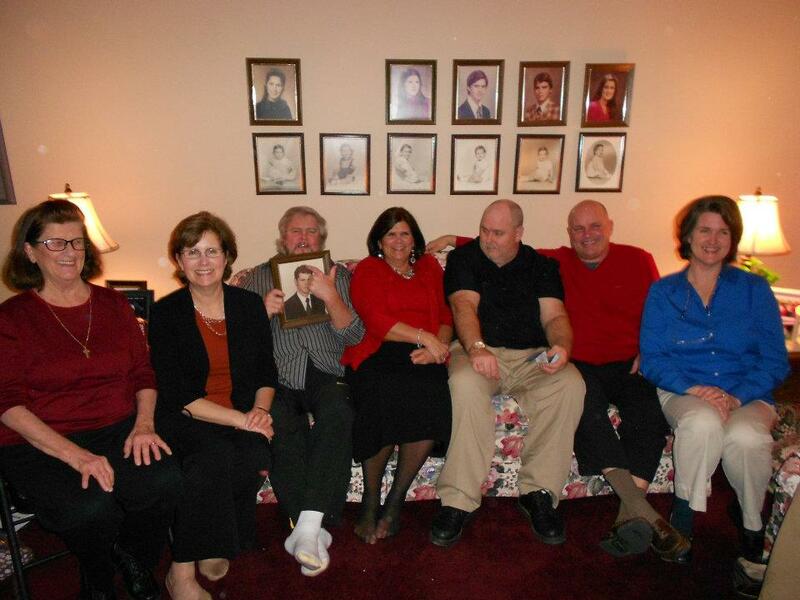 Is your house loaded with family photos? How do you display them? I really love your musical photo display! It’s very inviting at the top of the stairs! It’s fun to see you and your siblings–what a cute picture! I love the photos-the ones displayed at your mom’s and yours going up the staircase (who cares that they are only 5×7?) and the musical grouping. We actually don’t have any pictures up on walls. Maybe once we’re in a house of our own we will.